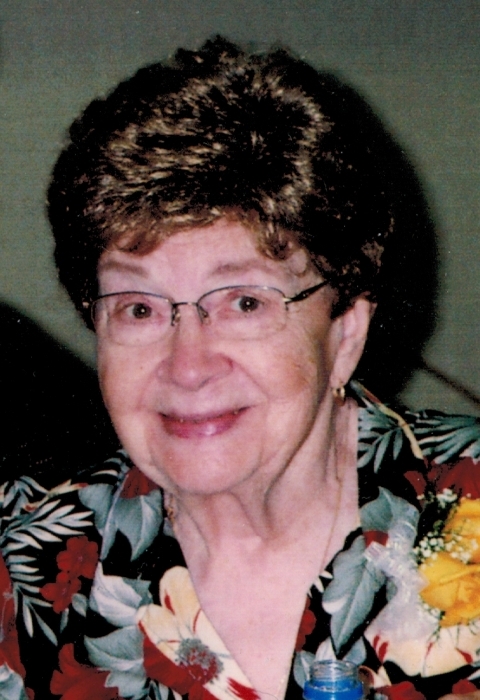 Ilo Mae Malik, 90, of Bettendorf, Iowa, passed away on Saturday, April 13, 2019 at Manor Care Health Facilities in Davenport, Iowa. Per her wishes, cremation rites will be accorded and a Memorial Service will be held at 12:00 P.M. on Saturday, May 25, 2019 at McGinnis-Chambers Funeral Home in Bettendorf. Visitation will be held from 11:00 A.M. until the time of services on Saturday at the funeral home. Burial will take place in Luxemburg, Iowa. Memorials may be made to the family to be distributed to St. Jude’s Children’s Hospital or Vander Veer Botanical Park. Ilo was born on June, 5, 1928 in Luxemburg, Iowa, the daughter of Hugo & Mathilda (Lake) Welling. In June of 1948, Ilo was united in marriage to Lawrence Hoffmann in Luxemburg, he preceded her in death. In 1965, she was united in marriage to Joseph Malik, he also preceded her in death. Ilo loved people and it showed. She had a kind and generous heart and will truly be missed. She was employed at Town & Country Restaurant as a waitress for 30 years, and was also employed at K & K Hardware in Bettendorf up until her retirement and continued to be a homemaker. She loved her family, and enjoyed gardening, cooking, as she was a fabulous cook, and loved collecting and reading cookbooks, family BBQ get-togethers for the 4th of July, and putting on a Christmas Eve taco dinner. Those left to honor her memory include her sons, James (Cindy) Hoffmann of Moline, Illinois, Joseph (Cyndi) Malik, of Bettendorf; her daughters, Linda (Victor) Obertance of Panama City Beach, Florida, Pat Speth of St. Paul, Minnesota, Cindy (Jeffrey) Hoffmann-Johnson of Bettendorf, Connie Malik of Davenport and Mary (Richard) Rasmussen of Newport Pennsylvania; her sister, Kathleen (Merlin) Meyer of New Vienna, Iowa; her brother, Walter (Judy) Welling of New Vienna; her sister-in-law, Maribel Welling of Cassville, Wisconsin; her grandchildren, Angie (Antonio), Roxie (Tom), Raymond, Rebecca (Kevin), Nick (Shanan), Joshua, Matthew, Amanda, Rachel (Richard), Rich (Kattie) and Izzy; her great-grandchildren, Domeniqc, Enrique, Diego, James, R.J., Athea and Freya; along with many nieces and nephews. In addition to her husbands, Lawrence, and Joseph, Ilo was preceded in death by her daughter, Mary Lou; her grandchildren, Eric Jackson and Kurt Obertance; her brother, Alois Welling; and her parents. The family would like to express their heartfelt thanks and appreciation to Manor Care on Locust Street and Hospice Compassus for the loving care they provided for Ilo. There's still time to send flowers to the Visitation at the McGinnis-Chambers Funeral Home from 11:00 AM to 12:00 PM on May 25, 2019.